DURHAM, NC (April 12, 2019) - Along GoDurham Route 1 stands the N.C. Mutual Life Insurance Company building, raised in 1964 to house the heirs of the largest company owned by black people in early 20th century America. On Route 4 is Ephphatha Church, one of only four houses of worship in 1930 that catered exclusively to deaf people. N.C. Central University, the nation’s first state-supported liberal arts college for black students, graces Route 5. Starting this weekend, passengers on four GoDurham routes will be treated to these and even more snapshots of the Bull City’s history, thanks to Jeffrey Sullivan, a marketing specialist for GoDurham. Sullivan’s project uses recorded audio to highlight nearly 60 noteworthy sites as the buses pass them, all to help the Bull City celebrate its 150th birthday. To identify historical sites in Durham, Sullivan worked with Dr. Jim C. Harper, chairman of the Department of History at N.C. Central University in Durham, and two graduate students. The group started with a North Carolina database of historical highway markers then Sullivan enlisted the help of GoTriangle regional data technician Stan Hutchens to narrow an initial list of 200 sites to only those along GoDurham routes. Harper and graduate students Mattison Bond and Malcolm Tillerson researched the selected sites, and once Sullivan wrote the scripts, the three were recorded talking about them. GoDurham buses have GPS sensors that will trigger each recording once a bus passes its corresponding site. The recordings will play Thursday through Saturday on the GoDurham Routes 1, 4, 5 and 6B that leave Durham Station at 10:30 a.m., 12:30 p.m. and 3:30 p.m. In the mid-1840s, Bartlett Leonidas Durham bought 100 acres near Hillsborough-Raleigh road and then donated four acres for a railroad track and depot, which was built at what is now Pettigrew and Corcoran-Blackwell streets. On April 10, 1869, the state General Assembly incorporated the City of Durham, then part of Orange County. Durham County was later ratified in 1881. 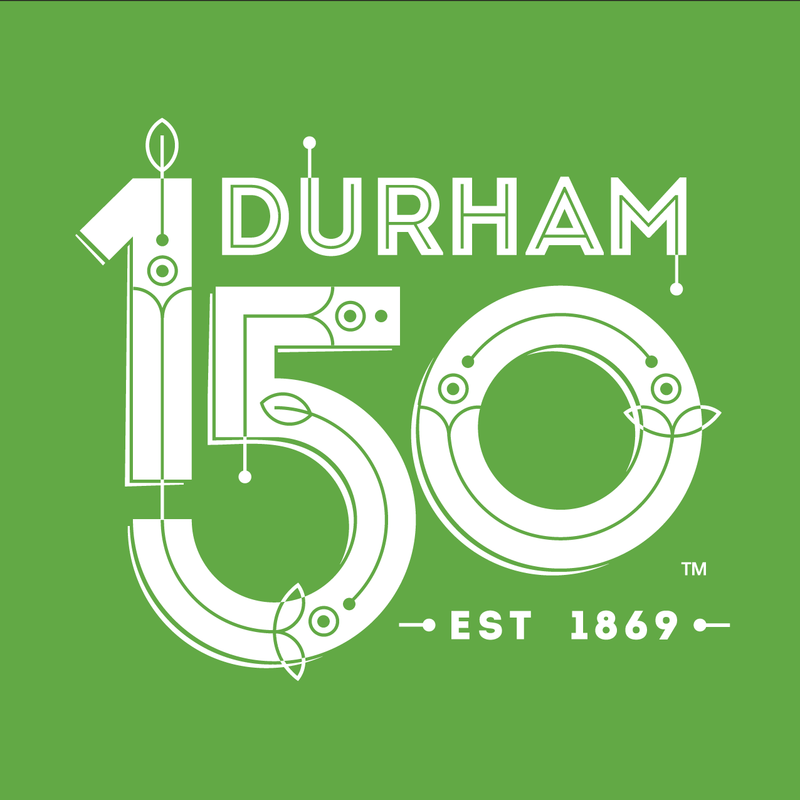 The City of Durham is having a yearlong celebration of its sesquicentennial by offering 150 activities that help people explore the themes of history and education, innovation and entrepreneurship, social equity and robust democracy, and arts and leisure. The opening ceremony is Saturday from 10 a.m. to 2 p.m. at American Tobacco Campus. The city now is planning to use the day to also honor first-responders and others in the wake of the gas explosion that killed a beloved Durham coffee shop owner and injured nearly 20 people Wednesday. Find more information about the city’s plans here. Both Sullivan and Harper were thrilled about the opportunity for GoDurham and N.C. Central University to work together, especially on something so meaningful.